TODAY will be a day like most others in Ballina Shire. There is nothing particularly special about October 24. People will go about their business like they do most other Wednesdays. There won't be a gathering of folks at the Ballina cenotaph, and, apart from the regular 6pm recording at the Ballina RSL Club, you won't hear the Last Post sounded. But Ray Gordon, from Ballina, says October 24 is a day that shouldn't be forgotten. It's the day his brother, Len Siffleet, was executed during World War II. His death, tragically, has infamously been recorded. A chilling photograph of a Japanese civilian preparing to swing a sword, with a haggard-looking Sargeant Siffleet awaiting his fate, is the only known photograph of an Australian being beheaded during the war -- though many more were executed in the same manner. "He was murdered -- even though it was war," Mr Gordon, whose father changed the family name from Siffleet, said of his brother's death. "I can forgive, but I can never forget." 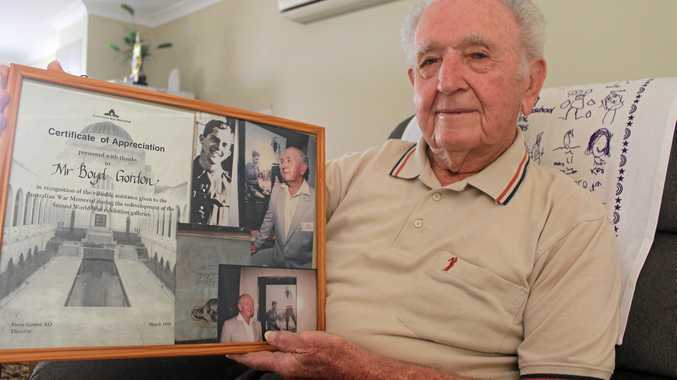 Mr Gordon was only nine when Len, who was born in Gunnedah, first enlisted in the army. Ray remembers his brother as a "pretty good bloke" who also helped raise him. It was 1940 and Len, a keen sportsman, who also was a keen knitter and made the socks for the Gunnedah pipe band, was called up for the militia -- even after being rejected for police service due to poor eyesight. 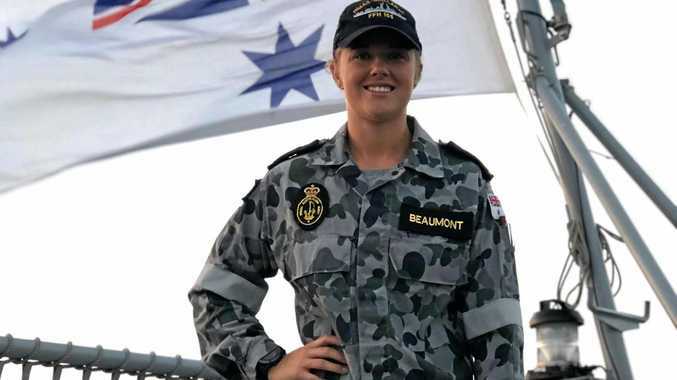 It was a short stint as he was released from his duty as a spotlight operator at the Richmond Air Force Base, west of Sydney, after three months and went back to civilian life. In 1941, his mother died, and Len, along with sister Pearl, raised Ray and another brother in Sydney. Their father was an itinerant worker. In September 1941, Len joined the AIF and was posted to the 1st Division Signals Company at Ingleburn. He went on to complete a specialist signals course at the Melbourne Technical College before volunteering in September 1942 for special duties, joining Z Special Unit. In October, he went to the Z Experimental Station in Cairns where Special Operations Australia trained its operatives. While Len was training, the Dutch section of the Inter-Allied Services Department was planning a mission to establish a coast-watching station in the hills above Hollandia in Dutch New Guinea, recently occupied by the Japanese. Len became the operation's radio operator. He was promoted to sergeant and transferred to M Special Unit in May 1943. According to the Australian War Memorial's website, the unit was in New Guinea in 1943, trekking the mountainous area en route to the north coast. In September, the mission, along with members of another special operations team travelling with them to Aitape, were discovered by New Guinean locals. Surrounded by a group of more than 100, the Australians fired on them. Len was caught and, along with his companions, was handed over to the Japanese. He was taken to Malol near Aitape where he was beaten, interrogated - apparently revealing little of importance - and then imprisoned for two weeks before being moved to Aitape. It was just after 3pm on October 24, 1943, that Len Siffleet and two fellow prisoners were beheaded. The photograph of Len Siffleet's final moments were found by American troops in 1944. Mr Gordon first found out about his brother's death watching the news reels at the cinema. He said it was a sad, but confusing time as there was little information about the way his brother died -- and he was still a young boy. The Australian soldier in the infamous photo was originally thought to be another man, but after its publication, Len Siffleet's family positively identified the man in 1945. Mr Gordon said he appreciated the Australian army's current efforts in trying to find his brother's remains -- he has kept jumpers his brother knitted for him. "I'd like to see some closure before I go," the 87-year-old said. "It's pretty good they are still looking." There is a park at Aitape named in honour of Mr Siffleet. Mr Gordon said he wanted to retell the story of his brother on the 75th anniversary of his death so younger generations can know the sacrifices of Australians during the war. "Today is a day we should never forget," he said.